Sunday Selfies: Too many photos to choose from thus all went into the pot! We are joining , The Kitties Blue, for their Sunday Selfies Blog Hop! This week there were too many entries but since none of us could decide on the best of the lot, all of them went into the pot! Perhaps you can choose a favourite amongst them. We hope you enjoy our efforts! It's a wonderful way to visit old and new friends alike. Fashion Friday : A peace vest and a squirrel bandana! Duffy, " Hi ya! Welcome to another edition of Fashion Friday!" 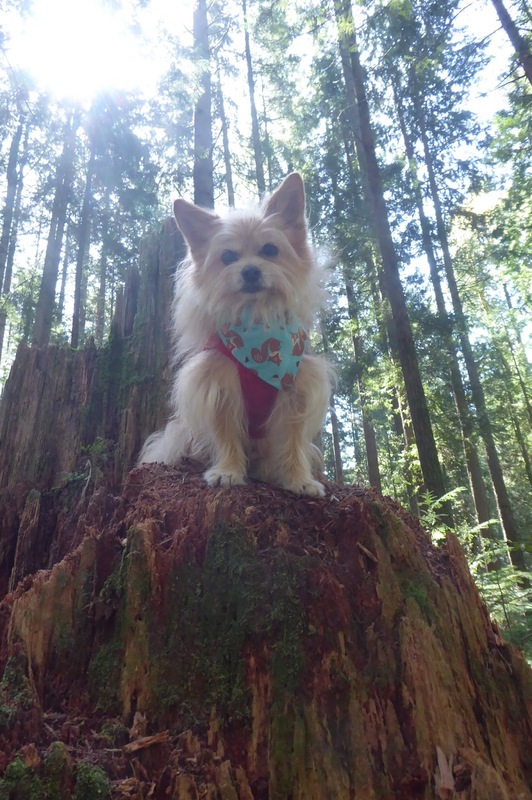 Duffy, " This week I will be modeling what I like to refer to as my, "peace vest", along with my squirrel bandana!" 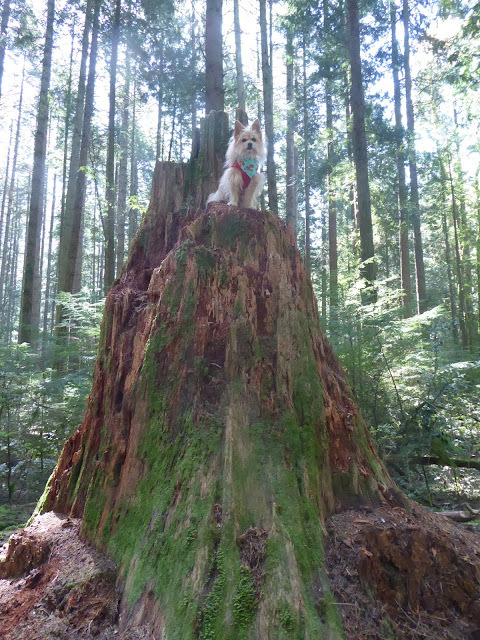 Duffy, " As you can see, I am in the forest today. The girls are with me." Duffy, " In the spirit of wearing my peace vest, I've decided to let Wilhelmina and Avalon do what comes naturally to them today. " Duffy, " I will not expect them to be solemn or well behaved. I will live, and let live." Duffy, " The girls are having fun and I am having fun watching them from the safety of my stump! Some people think that the idea of peace and love is distasteful somehow, as if that concept is something leftover from the hippies of yesteryear. But I believe that all livings beings should be loved. I also believe that peace and joy are far healthier objectives, than are conflict and unhappiness. " Duffy, " Here is my best pose!" 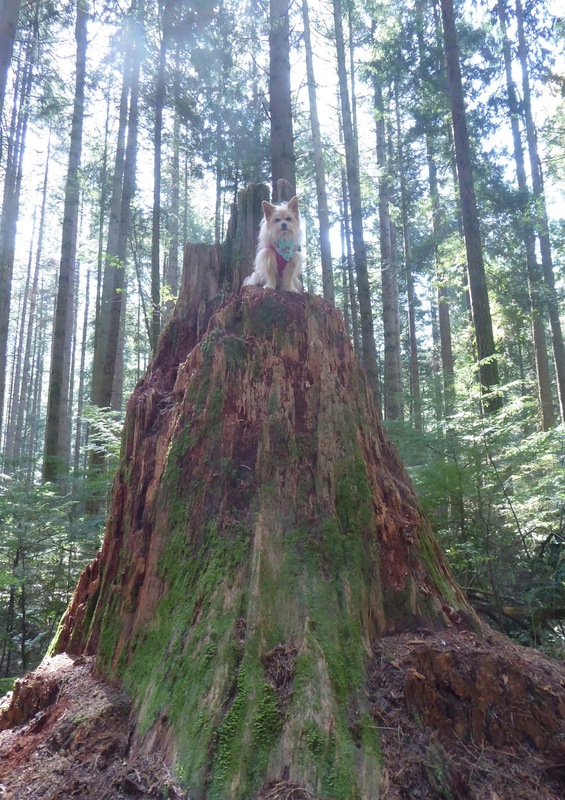 Wordless Wednesday : Find (all) the stump(s)! Find the erratic!